There are multiple ways by which you can transfer videos from camera & camcorder to computer and we are here to help you with the simple, quick, and effective solutions. Transferring files from your camera to PC/Mac clears up space on your digital camera for recording more videos and it also enables you to edit the videos on your PC/Mac through various installed software. Additionally, when you transfer videos from camcorder to laptop, you also make them safe and secure. Read below to know about the complete solution to connect your camcorder to PC and transfer videos. The very first thing that you need before transferring videos is to connect the camcorder to PC. You also need to check the ports available on your camcorder and PC and check their compatibility so that data can be seamlessly transferred. You can connect the camcorder to the laptop using firewire port. Listed below are the steps for your convenience. Once you successfully connect the camcorder to PC, it will be automatically detected by your PC/Mac and appear as hard disk drive on your system. 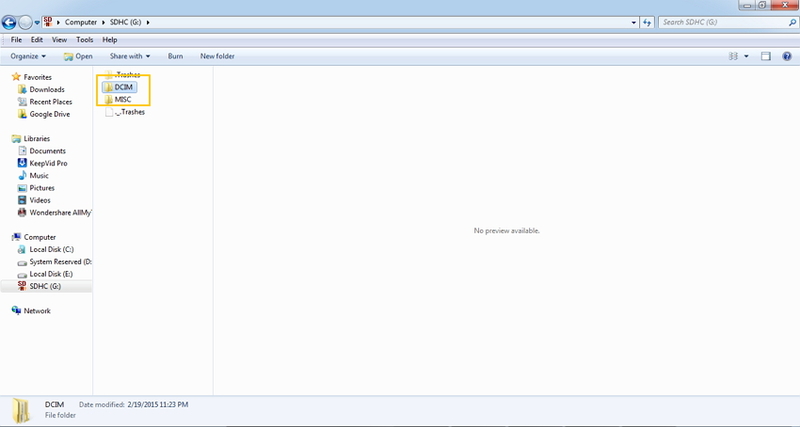 A pop-up window will also appear at the bottom-right corner. Note: In case if your camcorder is not recognised by PC, you would need to install the driver for the camcorder to PC video capture process to initiate. One of the most common and straightforward ways to add camera videos to PC/Mac is by doing it manually. There are different manual methods as listed below. SD Adapter, commonly known as microSD card adapter, looks like a normal SD card that has a slot for inserting a microSD card. These adapters can be easily accommodated in any SD media port on PC or SD card reader. It allows transferring data between camera and PC. 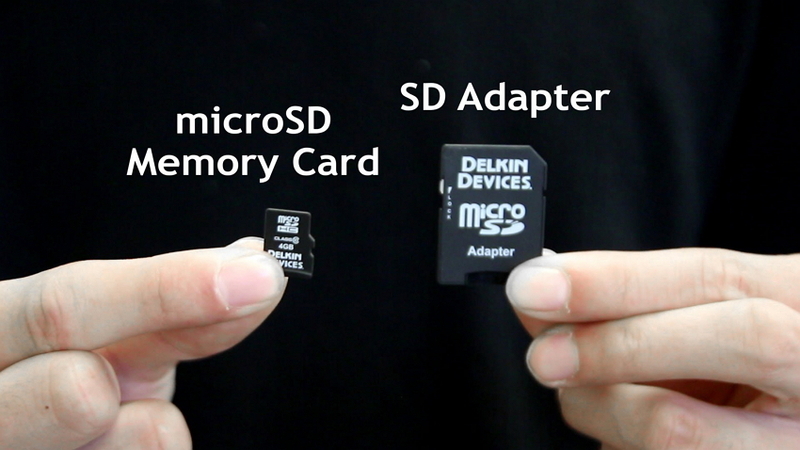 Step 1: Take out microSD card from your camera and insert into SD adapter. Insert the adapter into the media slot on your PC. 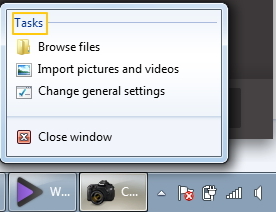 Step 2: Open File Explorer on your PC (press Windows + E ). The connected SD adapter will be visible under Computer and will show as a removable drive. 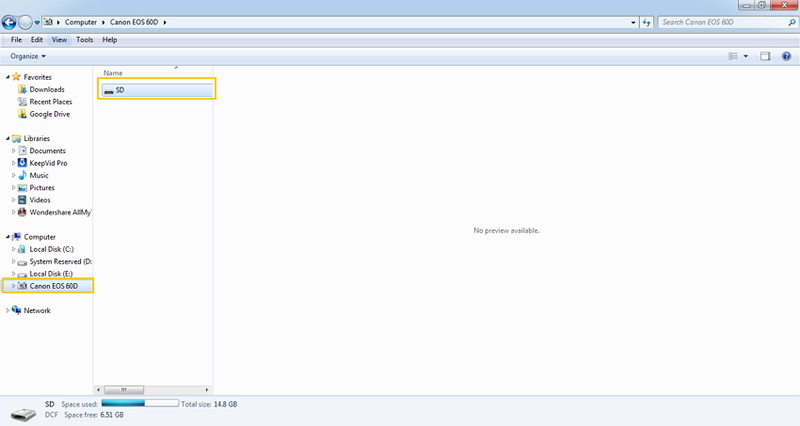 Step 3: Double click on the SD adapter icon which will show 2 folders - DCIM and MISC. 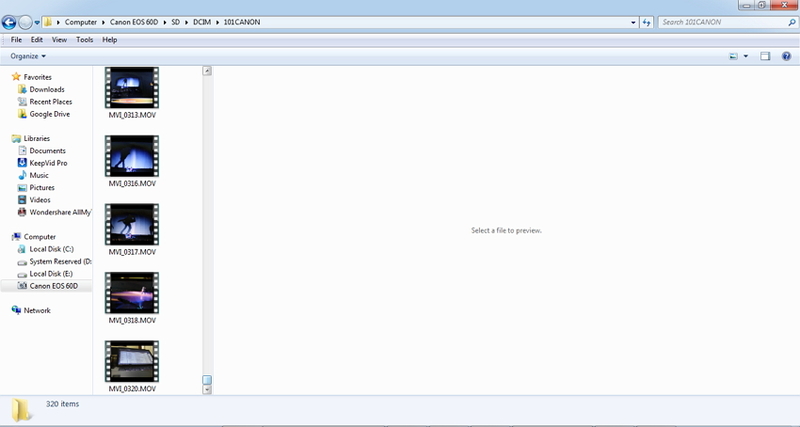 Step 4: Open the DCIM folder that will show all the images and videos captured by the camera. Select the desired videos that you wish to transfer, and copy them to the desired folder on your PC. 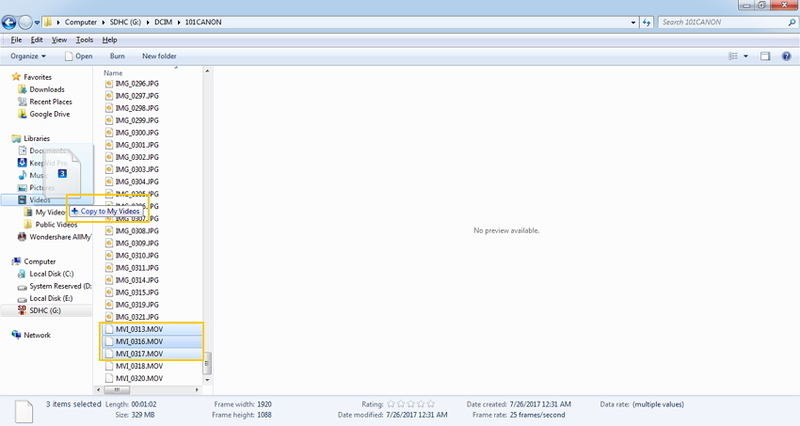 Alternatively, you can even drag and drop the videos. 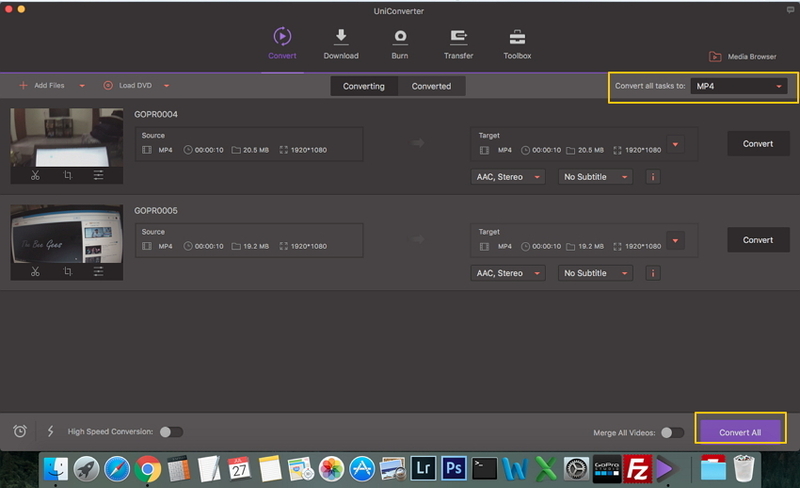 Another simple way of transferring camera videos to PC/Mac is through Auto launch option which appears automatically when you connect your camera to your PC. Step 1: Using a USB cable, connect your camera to your PC/Mac. Another method for transferring videos is by doing it manually using File Explorer. Step 1: Connect your camera to your PC/Mac using a cable. 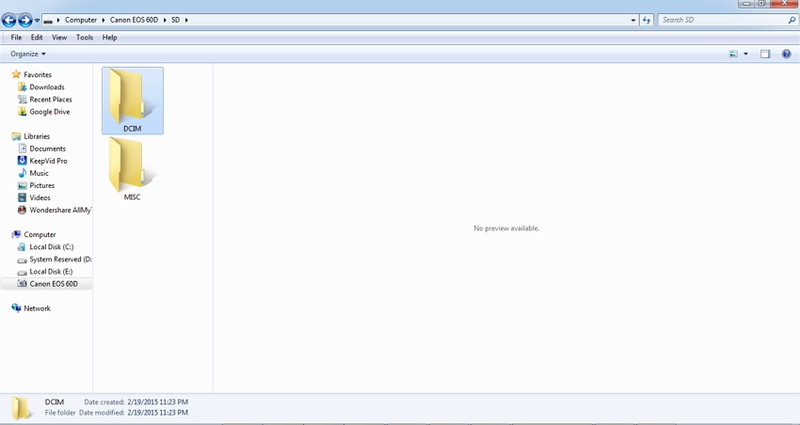 Step 2: Open File Explorer (Windows + E key). 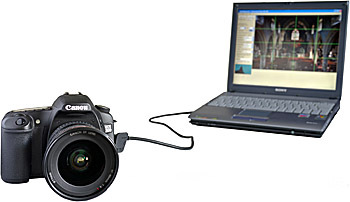 The connected camera will appear under Computer. Click the Camera icon to open the card SD card folder. 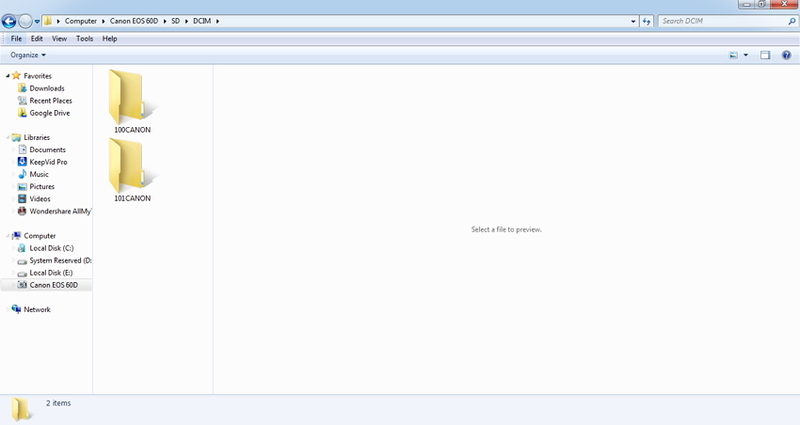 Step 3: Open DCIM folder to access images and videos on your camera. 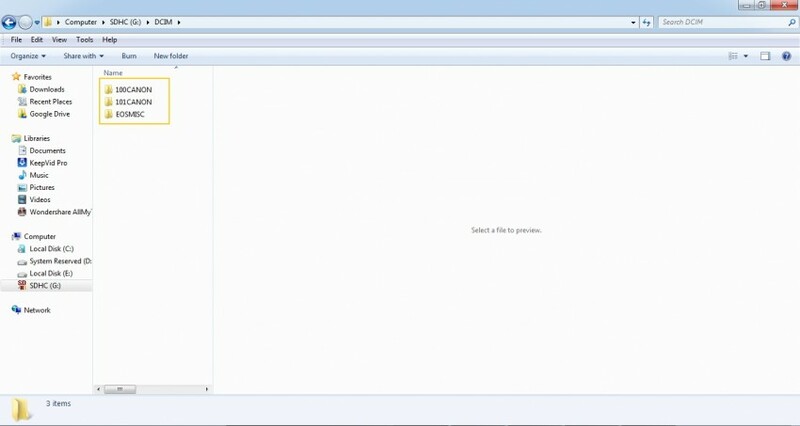 Step 4: Select desired videos and copy/paste to your PC. You can also drag and drop the videos. Simple solution, free to use. Need no third party software or program. Allows to quickly transfer videos to PC. 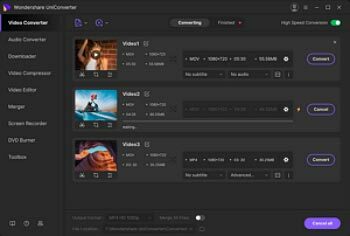 Support no additional features like editing videos, converting files and others. The method like auto launch does not allow to select the desired video. You can select from the above listed manual solutions to capture video from the camcorder to PC, depending upon your convenience and requirements. 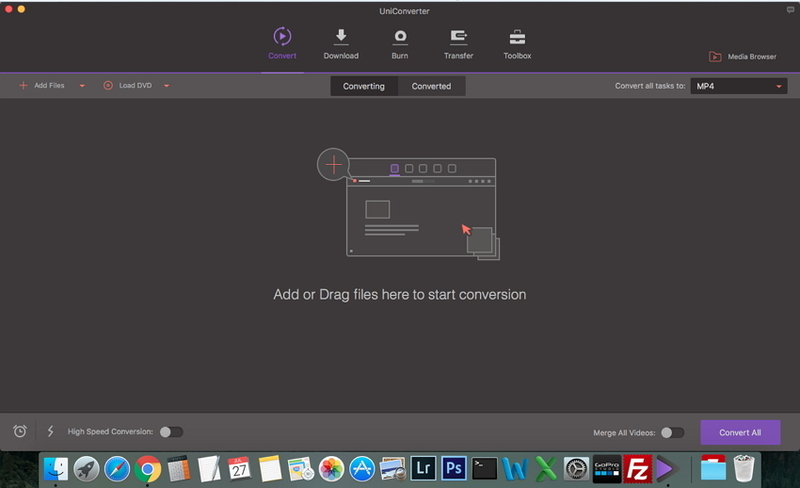 Another best solution to add your camera videos to PC/Mac directly is by using Wondershare UniConverter (originally Wondershare Video Converter Ultimate). The software is available for Windows as well a Mac system and works intelligently by identifying the videos from your camera and adding it directly to your PC/Mac. Using the software, you can not only add the videos but also perform an array of other features like editing videos, changing their format, transferring videos to iPhone and other devices easily. Step 1 Launch Wondershare Video Converter. 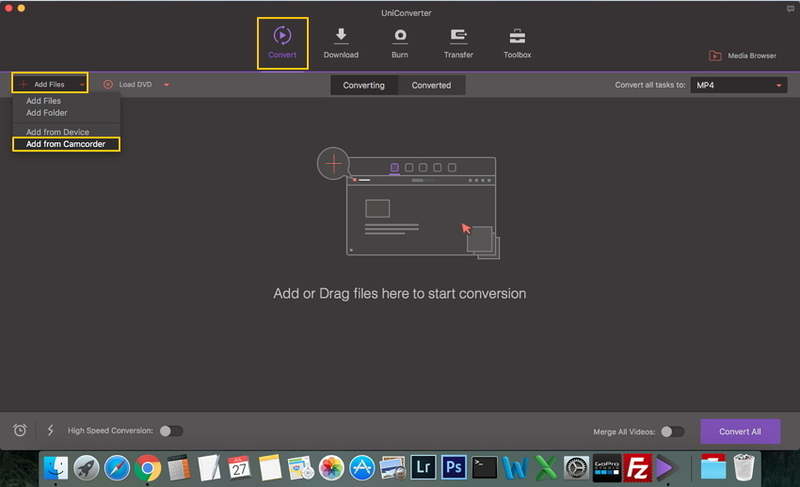 Download, install and launch Wondershare UniConverter for Mac (originally Wondershare Video Converter Ultimate for Mac) anc connect your camera to your Mac first. Step 2 Select videos from camera. 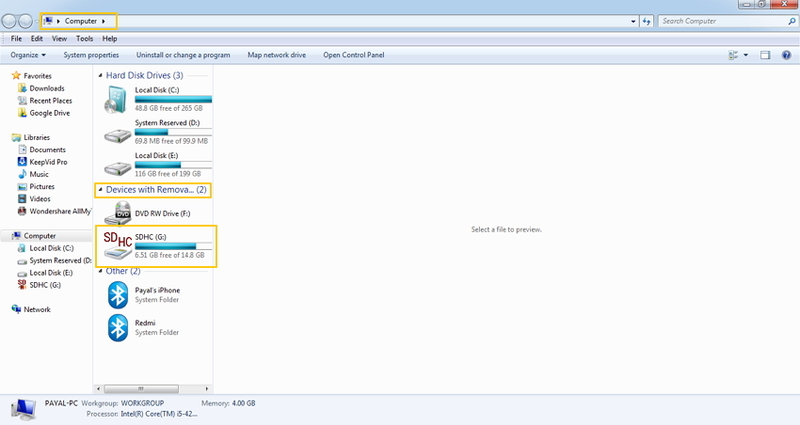 On the main page of the software interface, select Convert tab and then click drop down menu beside +Add files. Select Add from Camcorder option. A pop-up window will appear showing all the videos present on camera. Select the videos that you wish to transfer to Mac and then click Add To List. Step 3 Select the desire format and convert. Under Convert all tasks to, select the format to which you need to convert the added video. Click Convert All for the conversion process to start. Step 4 Find the transferred camera video on Mac. Once the conversion process is complete, click Converted tab to see the list of transferred video. 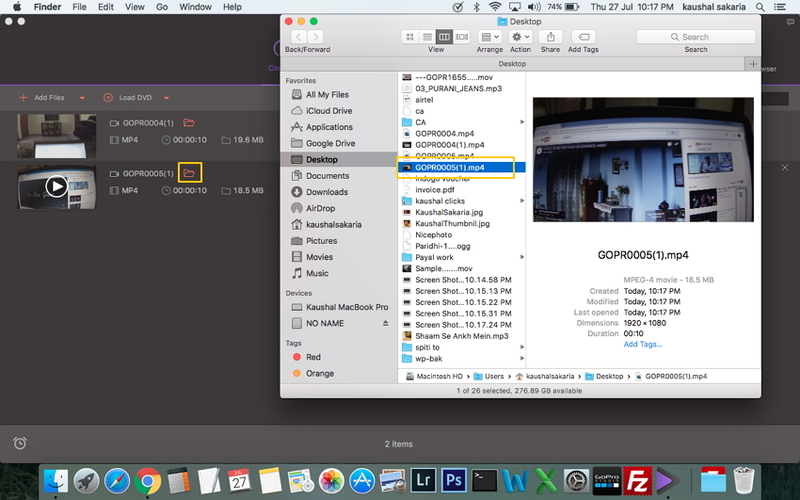 Click on File Location icon next to file name and the location where videos are transferred from the camera to your Mac will be shown. Thus with the above steps, you can successfully transfer video to Mac. Professional software with additional features like editing videos, changing formats, burning DVD, transfer camcorder videos to iOS devices and more. Works at a very fast speed. If you do not need any additional features, then manual methods are more feasible. With the above listed solutions, transferring videos from your camera to PC/Mac will now be a cakewalk. To further help you with the transferring process and make it even better below listed are some useful tips. 1. The present day camera and camcorders record high quality videos and thus if you transfer these videos to your PC, they occupy a lot of space on your PC's hard drive. Thus to save your computer hard disk space, you can either save the videos to external drive or burn them to DVD. 2. Different types of camera and camcorders use different types of connection and thus it is advisable to check the manual to know the type of connection needed before you transfer the videos from Handycam to PC. Also check the camera for the available ports. 3. It is important to check if your PC has the needed ports to transfer the videos from camera. Their compatibility with the camera also needs to be checked before the camcorder PC transfer process. 4. While you capture video from camcorder to PC on Windows 7 or other systems, it is always better to close the other programs which are running on your PC as the transfer process use a lot of system resources. 5. The present day DVD camcorder is capable of directly recording the videos to the DVD that can be played on Blu-ray player as well as regular players. If you want to transfer these recording DVD videos to PC, Wondershare UniConverter (originally Wondershare Video Converter Ultimate) helps in converting the camera videos out of DVDs. 6. 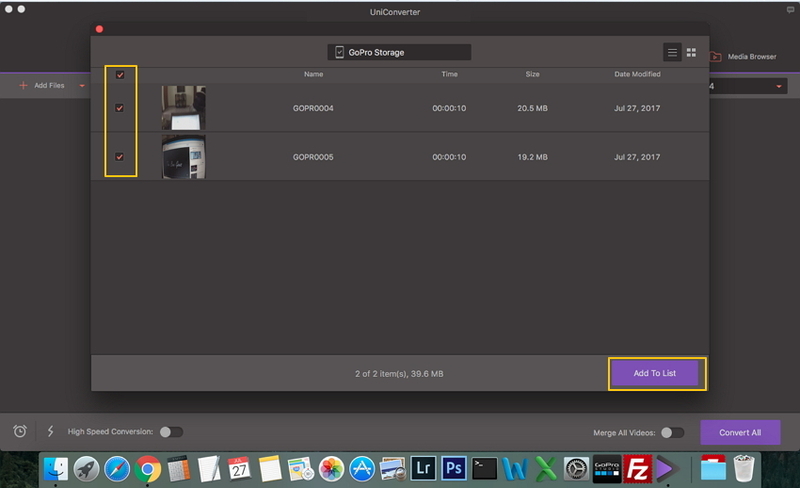 If you want to transfer camcorder videos from PC/Mac to iPhone/iPad/Android devices, you can use Wondershare UniConverter (originally Wondershare Video Converter Ultimate) which can transfer videos without any format compatibility problem. You can watch the video tutorial to learn more details about how to transfer camera videos to PC/Mac. 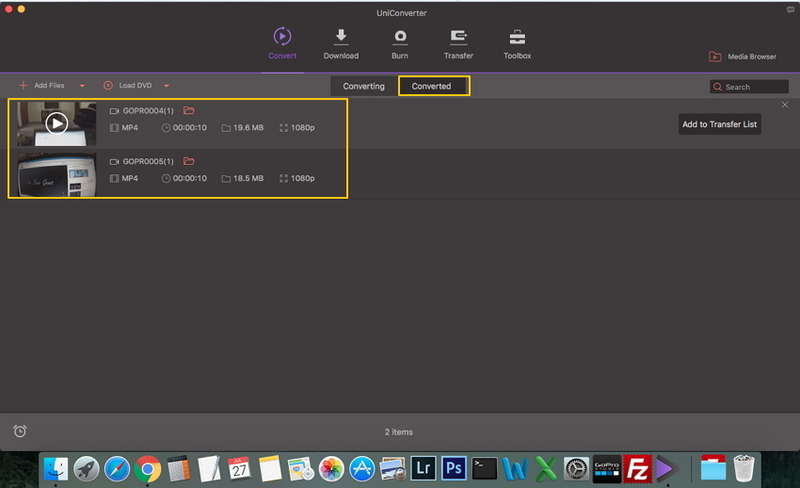 Thus it can be concluded that Wondershare UniConverter (originally Wondershare Video Converter Ultimate) is an intelligent and a wonderful way to transfer videos from camcorder to PC/Mac. Have a free try now!